The most recent and new version of Android, Nougat 7.0 update is released for Huawei Mate 8. 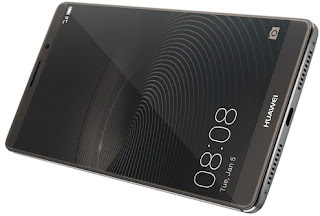 Now it is available to download in Europe countries for the variant Huawei Mate 8 (NXT-L09). This firmware update is beta version B580. It comes with improved system performance and latest security patch. Make sure your device is running a custom recovery like TWRP. Download the “update.zip” and “update_full_NXT-L09_hw_eu.zip” from above-mentioned links and copy them to your phone’s external SD card or internal memory (without extracting). Now, turn your phone off and reboot into recovery mode. Before proceeding take a full backup of all the partitions and store it in the SD card. Next, flash the “update.zip” package and upon completion, install the second package “update_full_NXT-L09_hw_eu.zip”. Finally, reboot your device normally into the system. Remember: This update is in beta stage which means that it may carry bugs that can have an impact on the usability of the device. Moreover, since this is a multifile update, you may encounter errors if you try installing this with the stock recovery. 0 Comment "Huawei Mate 8 NXT-L09 Nougat Beta Update Download [B580]"